3 POCKET ZIPPERED POUCH WITH STURDY KEY RING! 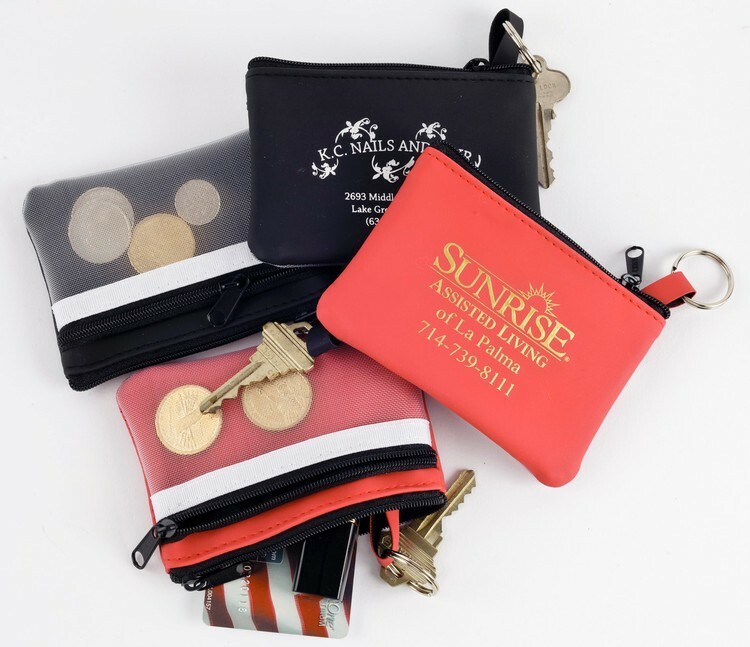 The Twin Zip/Mesh Pocket Vinyl Zippered Pouch features a sturdy rustproof nylon zipper on the top and a separate zippered outside mesh pocket, plus a tempered steel split ring on a strap attached inside the pouch to keep keys secure with room to store coins, cash, credit cards and more. Available in red or black. Prices include a 1 color foil stamped imprint on the outside front. Silk-screening for PMS color matches, multi-color, or full color imprinting may be available, see “Options” above.